No one was happy about the arrangement. Austria was unhappy because it lost not only its lands but also its beloved ski resorts and the sanatoriums for treatment of tuberculosis—like Kafka’s favorite in Meran-Merano where a bust of the writer stands in the city’s Passerpromenade—thus giving rise to irredentism in Österreich. Ethnic Germans of Alto Adige were unhappy about their annexation by non-German speaking Italy. The immediate result in Alto Adige was the formation of ethnic German terrorist organizations favoring secession from Italy. Nazi Germany had been displeased to lose the former Austrian territory when it annexed Austria but the Reich had accepted the arrangement in order to please its ally Italy; powerful Nazi leaders like Goering also used the rather obscure Alto Adige to stash away art treasures stolen in conquered European countries. Italy however had annexed a territory and a people historically hard to dominate which forced Rome to send an army and station them there permanently (They are still there!) and then to create a special status for Alto Adige and making of South Tyrol-Alto Adige a special place in post-World War II Europe and Italy’s richest province. But such concessions were not sufficient to quell rebellious South Tyroleans: local terrorism replaced world war. The South Tyrolean Liberation Committee (in German Befreiungsausschuss Südtirol), or BAS, was a violent underground terrorist organization of the mid-1950s whose goals were self-determination and secession from Italy. In those times secession was in the air in the world from China to Canada. From Mexico to India. And in Europe, the Flemish majority ignited secessionist terrorism in Belgium against its oppressors, the minority Walloons … and Brussels was considered one of the most dangerous cities on the continent. The Basques and the Catalans wanted to break away from Spain. The Reconstruction Party in Sicily which in 1945 claimed 45,000 members campaigned for Sicily to become a state of the USA. 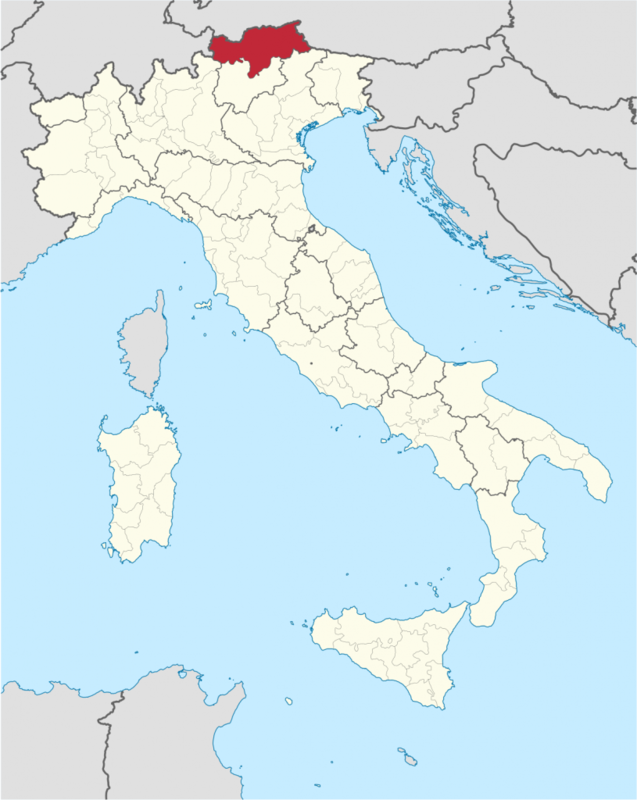 Contributing factors were the large number of Sicilians living in America and results of the American-led invasion of Sicily in 1943 during WWII on the heels of following a century of neglect of Sicily by all Rome governments since Sicily’s annexation in 1861. Also, according to released German archives, East Germany’s Stasi (Staatssicherheit or State Security organization) followed Bonn-Vienna-Innsbruck-Bolzano-Rome relations and tried to make the world public aware of the “influence of West German revanchist forces” –-the many West German government ministers, officials, members of the judicial branch, and major politicians who had been enmeshed in the Nazi regime. The Stasi goal was the furthering of the idea of a German conspiracy against Italy, undermining the relationship between these two founding members of NATO and the European Commission. Gladio’s major tasks were two. Officially, the secret army was the first line resistance against Soviet armies allegedly ready to sweep over West Europe from Austria. Post World War II Austria –-in the center of Europe—was then divided into four zones, (as was its capital of Vienna), one of which was occupied by victorious Soviet armies. In Vienna, Russian language directions and slogans were still inscribed on walls in the center of downtown of Old Vienna. Perhaps a Cold War ruse to keep people on edge and fear alive. A curious final note: Small Austria too had its own Stay-Behind army of 2,500 men, called, get this, Austrian Association of Hiking, Sports and Society (Österreicher Wander-Sport-und Geselligkeits Verein, or ÖeWSGV). It was funded by CIA to crush the Austrian Communist-led strikes which the CIA-MI6 controllers considered the “most dangerous” events since the end of WWII. Western agents had a fixation about the super Soviet T-34 tanks rolling over West Europe. But, I believe that was just for show. They couldn’t believe that. Or could they have? Gaither Stewart is a Writer Senior Editor and Rome-based European correspondent of The Greanville Post. A veteran journalist and essayist on a broad palette of topics from culture to history and politics, he is also the author of the Europe Trilogy, celebrated spy thrillers whose latest volume, Time of Exile, was recently published by Punto Press. His latest book is the essay anthology Babylon Falling: Essays About Waning Qualities and Studies of Failing Empires (Punto Press, 2017).